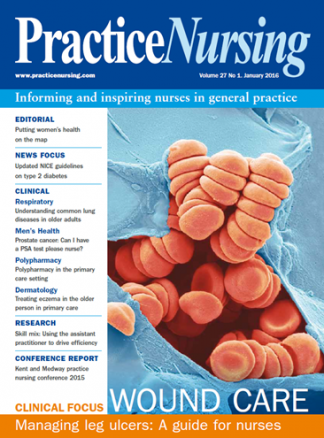 Practice Nursing is the only monthly journal dedicated to promoting a culture of professional and clinical excellence in general practice nursing. The journal is dedicated to all nurses working in general practice looking to stay ahead in their profession. As a practice nurse who wishes to invest in your professional development, you need access to the right information. Practice Nursing is here to help practice nurses like you. NB: This subscription also includes access to content on the Practice Nursing website, www.practicenursing.com. Subscribers will be emailed login details for their account within three working days of the subscription being taken out. Be the first person to tell us what you think about Practice Nursing and you'll save £2.50 on your next purchase!